The single For Me (Or Nahh) has made such a impact before and after its release date. It was the bestselling single making it on Movers and Shakers on Amazon peaking at #3. After the release date, it peaked at #6 for Best new release and #22 Best Comptemporary R&B single. The single also has thus far, over 10 thousand streams on Spotify since the release date, July 21st 2017. Shardella Sessions has been in This Is 50 blogs, Real Entertainment News, and many more blog sites for music review. Now awaits her upcoming new album entitled “The Evolution of Shardella. This album will have a total of 13 original songs in which 8 songs are pinned by Shardella herself. Her new album will take her listeners on a musical bliss. “This project is filled with so many colors” said Angel Sessions, one of the founders of Atlas Elite Entertainment and Shardella’s mother. “I love the fact that Shardella is so different with her style in singing and writing. When I listen to her songs, I don’t think of her as just my daughter, I see her and think of her as one of my favorite artist. Her music does that to my soul. I remember when my favorite artists from back in the day would drop an album, I couldn’t wait to run to the music store and buy the album and listen to it over and over again. That’s how I feel when I’m listening to Shardella’s music. It’s like a breath of fresh air.” Rodney Crews, one of the founders of Atlas Elite Entertainment said. “With our second artist from the Atlas Elite Entertainment label, “The Princess of AEE, Shardella Sessions proves that the apples don’t fall far from the trees and lives up to the expectations as daughter of the legendary “First Lady of AEE, Angel Sessions. Shardella shows off her unique songwriting and sound bringing back great vocals and pulse pounding bass lines that magnifies every track on this project. We at Atlas Elite Entertainment are very proud our artist Shadella Sessions and want the world to witness “The Evolution of Shardella.” The team of Atlas Elite Entertainment has been at work with preparing for the album coming August 25th 2017 on all online digital stores where music is sold. Demetrius Guidry, the creator of the beautiful CD artwork and one of the founders of Atlas Elite Entertainment said he is blown away with the project Shardella has. Demetrius quotes, “I simply love the direction of this album and work Shardella has. This album is a trendsetter for bringing back R&B the way music use to be back in the day. What is so noteworthy about this album is the fact that Shardella is not following a trend. She has her own unique style that will inspire other R&B singers to stay true to this genre. Our fans are going to love this album.” “Shardella quotes, “I feel like this album is really going to show the world who I am as an artist today but also the artist I started out as. As I grew, so did my music and so did my experience in life. Most of my songs reflect the situations I have encountered and that’s what makes my music special. I always try to send a message but also make sure it’s something you can vibe to. I really hope many people will be able to appreciate these songs and take something beautiful from it. I’m all about sending vibes that your ears can listen to over and over again. 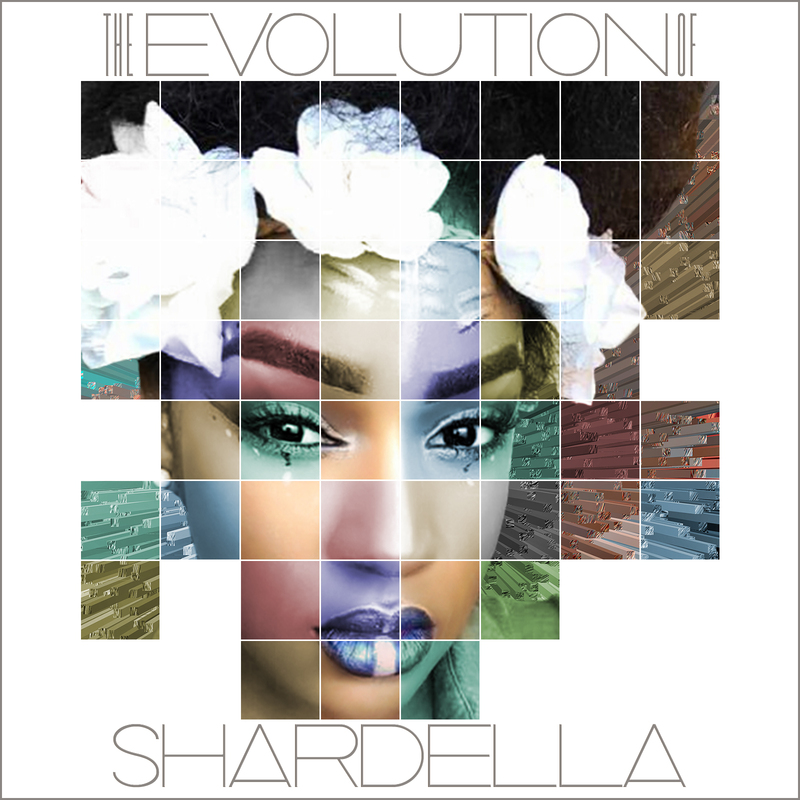 Thank you to everyone who rides the waves.” The Evolution of Shardella is her debut album to the world. Atlas Elite Entertainment is behind their princess of AEE, Shardella Sessions spreading her music to all music lovers around the globe. This will be a timeless collection.